Marjan Kiepura was born in Paris, France and was accepted to the Juilliard School Preparatory Division. He studied with Jeaneane Dowis and later coached with Menahem Pressler. His development as an artist has led him to focus on the music of Frederic Chopin. He has given concerts in the U.S. and Europe of this composer's works. His own Polish ancestry has made Chopin a favorite choice of repertoire. Highlights of appearances include the International May Festival in Wiesbaden, Germany; London's Royal Festival Hall in their Foyer Concert Series, the Bibliotheque Polonaise in Paris, the Jecklin Forum in Zurich, Dartmouth College, MIT, the Bruno Walter Hall at Lincoln Center, the Kosciuszko Foundation in New York and London's St. John's Smith Square concert hall. He was particularly proud to perform in a special concert honoring his late father, the Polish tenor, Jan Kiepura, at the Warsaw Opera. Mr. Kiepura, on occasion, accompanied his late mother, the Hungarian soprano, Marta Eggerth, in recital. He has also performed at the Liederkranz Hall, the Pen-and-Brush Concert Series and the Sundays at JASA series in New York as well as other concerts in Vermont, New Hampshire, Virginia, Miami, Chicago, London, Germany and Poland. Marjan Kiepura's debut CD - a Chopin recital entitled Images of a Homeland, has received a dozen superb reviews including Amazon, American Record Guide, BBC Music Magazine, Pianist Magazine and music journals in the USA, England, Holland, Austria and Poland. The CD has been aired on many National Public Radio stations across the United States and was featured on London's BBC Radio 3 where Mr. Kiepura performed live to a large radio audience. Mr. Kiepura has also been featured on several radio programs including New York's WQXR's Reflections from the Keyboard hosted by David Dubal, Vermont Public Radio, Connecticut's WMNR Radio, Indiana Public Radio hosted by Steven Turpin and BBC Radio 3's CD Review program hosted by Rob Cowan and CD reviewer Andrew McGregor. 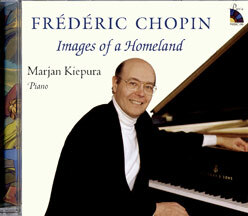 Mr. Kiepura is also a published author and has written about Chopin. Marjan Kiepura lives with his wife Jane Knox-Kiepura in Littleton, New Hampshire and New York City. Referred to as the "Gatekeeper of the Heritage" by The New York Theater Wire; Mr. Kiepura has embarked on a second career to preserve the legacy of his famous parents. He and his wife Jane Knox, have produced CD reissues and have given symposiums for the Ohio Light Opera company, the New Rochelle Opera company, The Dutch Treat Club and Sundays at JASA in New York. Mr. Kiepura has also produced numerous radio programs which resonates among singing aficionados and music students worldwide. 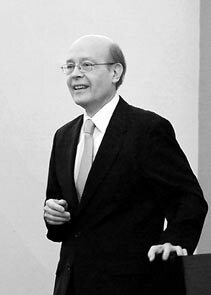 He was recently named member of the International Advisory Board for the Loren L. Zachary Society for the Performing Arts. An important CD ~ "IMAGES OF A HOMELAND" ~ presenting performances of music by Chopin featuring the American pianist Marjan Kiepura, has been re-released especially for the 200th anniversary of the birth of the composer. Comprising both rare and familiar repertoire by Chopin, the disc was critically acclaimed on its first release in 2001, and presents the composer in a uniquely Polish musical perspective. As well as offering familiar repertoire such as the A major Polonaise and the D flat major 'Raindrop' Prelude, the recording also has several rarities, including many of his Mazurkas which are, even now, seldom performed. Indeed, it is Chopin's Mazurkas (both early and late), which are the prime focus of the disc. Marjan Kiepura, who has made a particular specialism of Chopin's Mazurkas over many years, believes they provide the key to Chopin's personality and in particular, his idiomatic Polish traits, more than any other genre in which he worked. Commenting on this timely re-release, he said: - "In making this recording ten years ago, I had a special purpose ~ to observe Chopin as a person deeply affected by influences, chiefly what one might call the essence of his heritage - the Polish earth - which never left him and which informed so much of his music. In my playing, I always try to convey the particular Polish characteristics of his music which I feel intuitively - namely, the rhythms, inflections and emphases - and in the coming year I will be performing, broadcasting and lecturing about this aspect of Chopin's art. I feel it is especially apt and fitting to re-release this recording now, just as we celebrate the important anniversary of Chopin's birth." Extensive liner notes by the artist provide a historic reference to the concept of homeland and what it meant to Chopin. The Grammy award winning David Frost was the Producer for this recording, and the performances were recorded at the American Academy of Arts and Letters, New York. Prelude Op. 28, No. 15 in D-Flat Major "Raindrop"